When you have a baby at home, the last thing you may want to do is cook. The lack of sleep from a newborn makes it very hard to get creative in the kitchen. When I was at home with baby Eddie, I began to realize that I would make food for him and totally forget the fact that I needed to nourish myself as well. One of my kitchen saviors quickly became avocados, since Eddie became obsessed with them at an early age. I always had them handy and they were a perfect food we both could share for breakfast and lunch. Actually, one of his first foods was a mix of avocados and bananas. Not only was it smooth and creamy, but extremely versatile. I could serve it alone or mash it up with fruits like bananas or mangos. Though Eddie is already 2½ years old, avocados are still one of his favorite foods (and mine too, I mean, who doesn’t like a good avocado toast? ), but now I don’t have to mash them up. He loves to eat them in chunks over salads, pastas, tacos, dips or in a smoothie. Being conscious of nourishing our babies and of course, ourselves, is a challenge any super mamá can overcome. With having high nutritional value and being super versatile, it’s easy to incorporate avocados into our everyday diets. 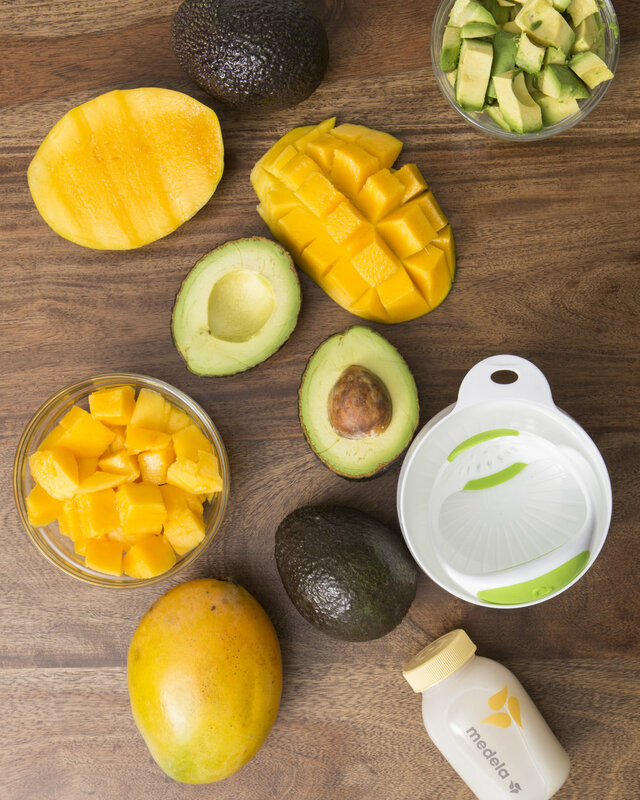 Here are three recipes in partnership with Aguacates Frescos – Saborea Uno Hoy® that can help you turn your baby’s food into your very own breakfast and lunch (so you don’t forget about yourself when prepping for your baby). And please remember to check your pediatrician before introducing any new foods. For infants: If desired, add breastmilk or formula to reach desired consistency based on age and caregiver’s comfort level. Nutritional information will vary. Mash ingredients with a fork instead of pureeing. Serve in reusable baby food pouches for maximum portability, or freeze in ice pop trays to make homemade popsicles. Add Greek yogurt and use as dip for your favorite fruits and vegetables. Note: Speak to your child’s pediatrician before adding solid foods to your infant’s diet. 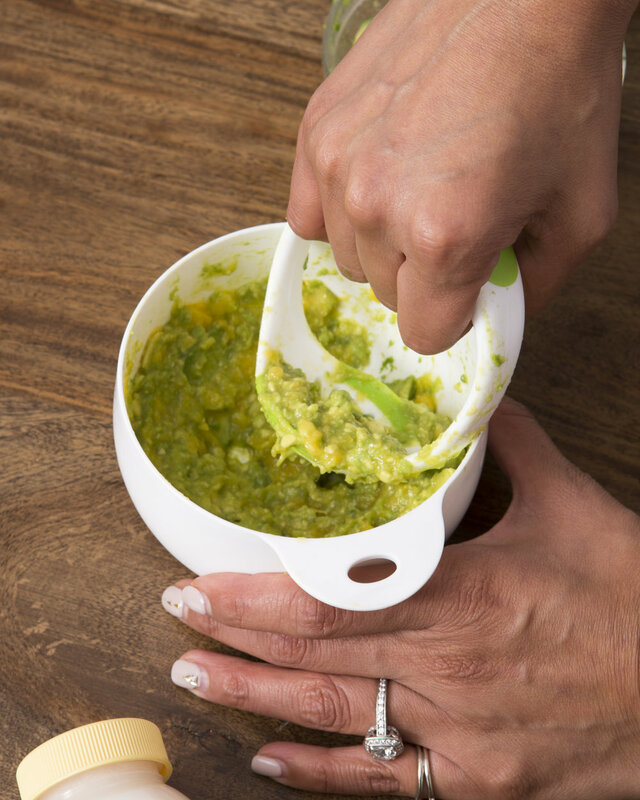 Puree avocado and mango in a blender or in a baby masher until desired consistency is reached. Serve baby 1 to 2 tablespoons mixture. Freeze remainder in 1 ounce ice cube trays. 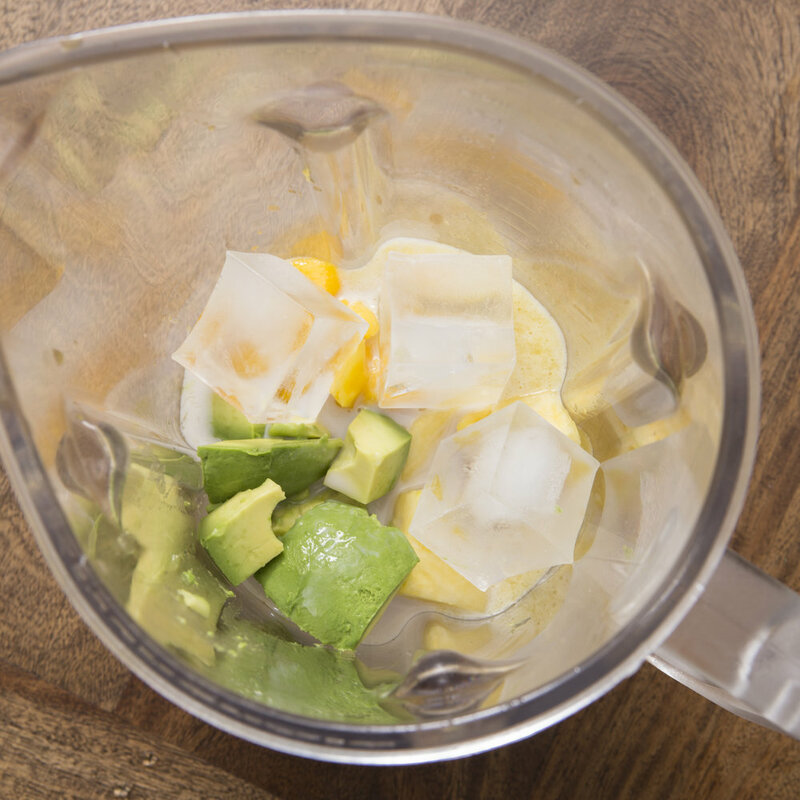 In a blender, add avocado, mango, pineapple, pineapple juice, almond milk, and ice. In a large serving bowl, whisk together vinegar, lime juice, salt and pepper to taste. Slowly whisk in oil. 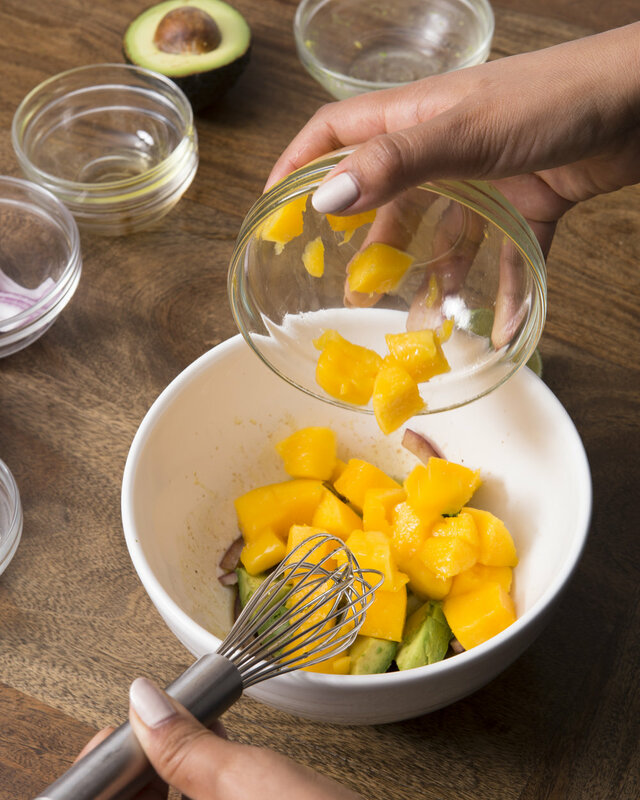 Toss in mangoes, avocado and red onion to coat. Serve immediately.